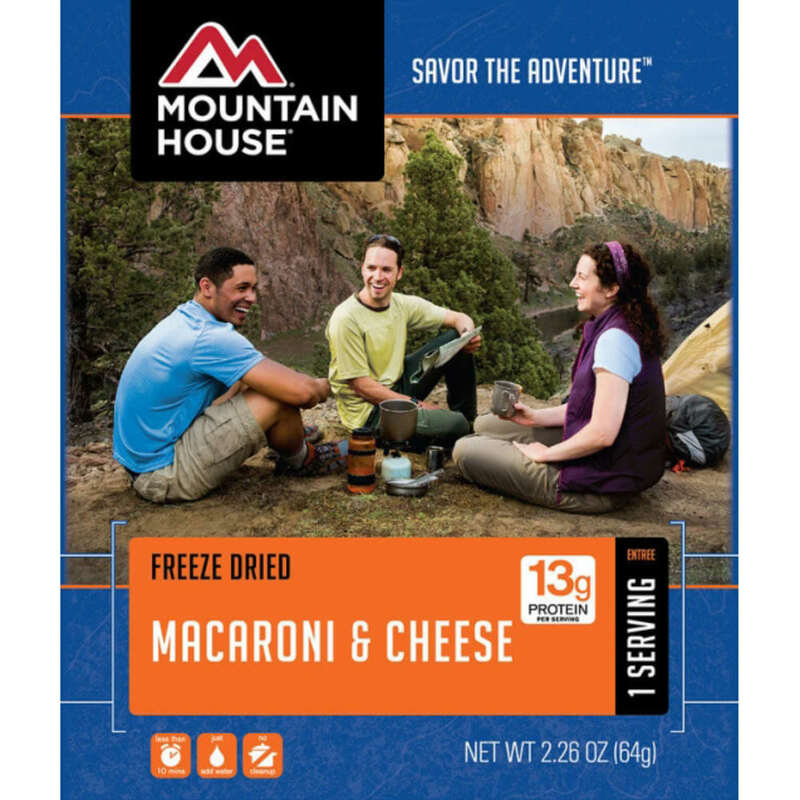 Freeze-dried macaroni and cheese dinner for two. Just add boiling water to the pouch and it's ready in less time than it takes to cook regular pasta. Makes 20 oz.